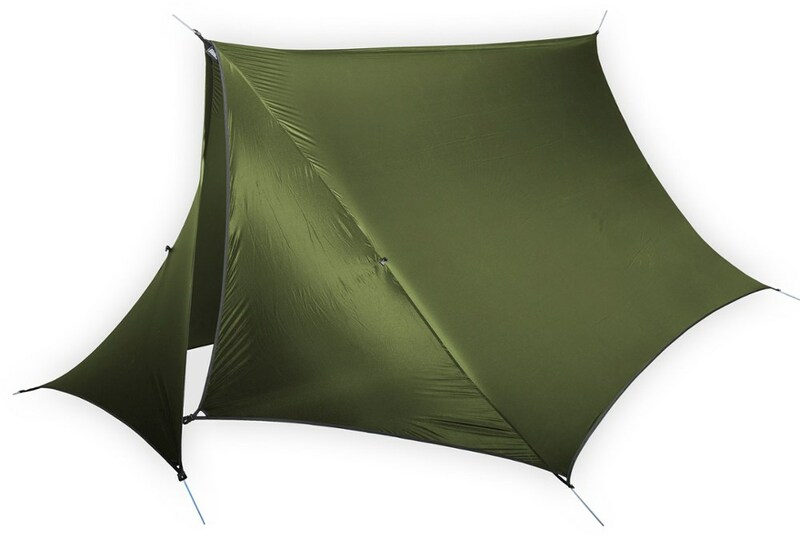 Visit Eagles Nest Outfitters's DryFly Rain Tarp page. 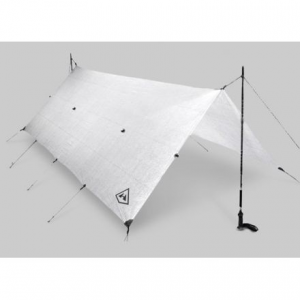 Eno Camp & Hike Dry Fly Rain Tarp-Navy DF065. 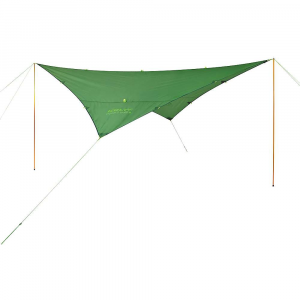 Thanks to the the DryFly's perfectly shaped drip lines will cover you and your gear. 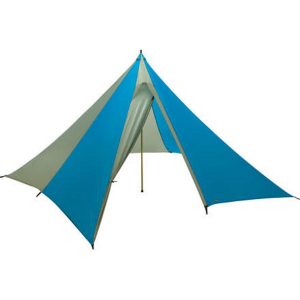 With enough room to cook while sitting in your hammock you have all your essentials covered. When the rain quits: stuff it and get back on the trail. 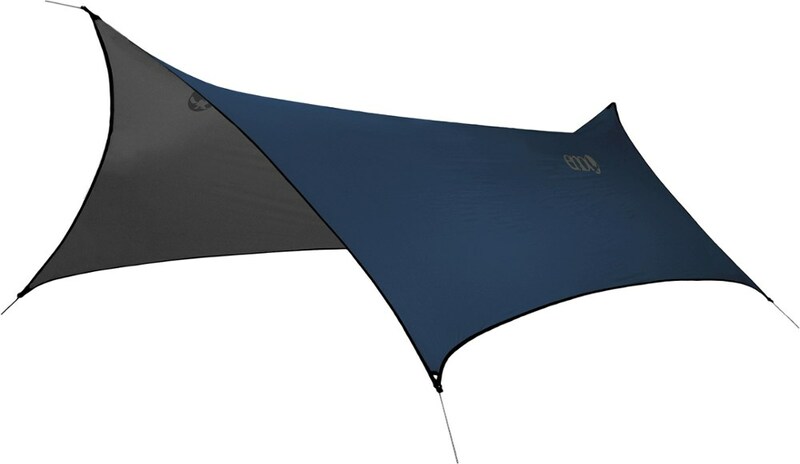 ENO offers the outdoorsman or woman a versatile high-quality rain-free option for forging beyond. 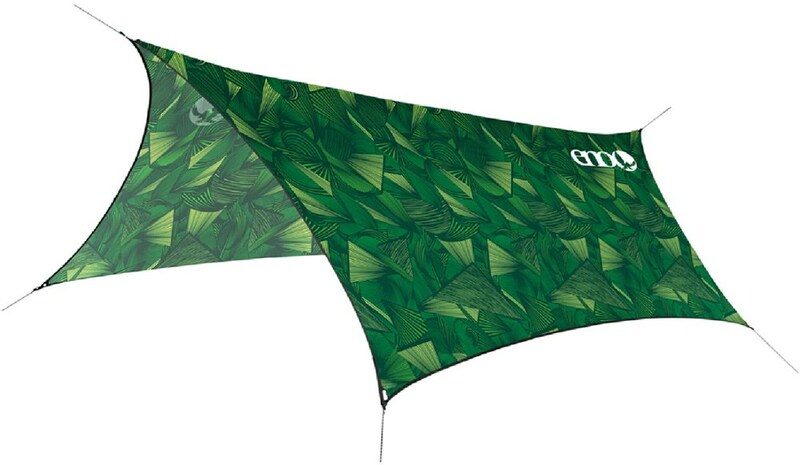 Rest easy in your hammock and enjoy the soothing sound of the rain with the ENO DryFly rain tarp.